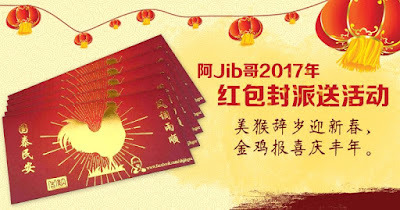 Prime Minister Najib Razak is giving away free Ang Pao red envelope to anyone that complete the form linked below. It will be completely free of charge in celebration of upcoming Chinese New Year (CNY) 2017 in Malaysia. First-come-first-serve and while stock lasts basis. Wishing you a happy Chinese Lunar New Year 2017!